No landowner ever wants to have to deal with a trespasser. 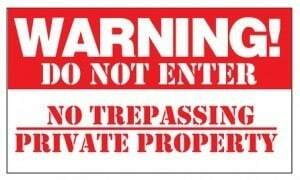 Despite posting “No Trespassing” signs on the property, there may be times when a person trespasses on land intentionally, mistakenly or out of necessity. It is important for landowners to realize that there is no way to ultimately ensure that trespassers will not come onto the property and that landowners may face liability if a trespasser is injured on their land. In Illinois, trespassers can face civil and criminal penalties. Under the Illinois criminal code, trespassing is defined as “illegally entering and staying” inside of a building, staying on the property after being requested to leave and a misrepresentation of the person’s status as a trespasser. When one drives a vehicle on a property with “No Trespassing” signs, he or she can be charged with a Class A misdemeanor and also face one year or jail, $2,500 in fines or both penalties. Entering a residence carries even harsher penalties of a classification as a Class 4 felony, one to six years in prison, $25,000 fines or a combination of penalties. There are few civil penalties that a trespasser can face. If a trespasser is on one’s property and causes damage, then he or she may be liable for any actual damage to the property. Typically, a landowner may only sue a trespasser for nominal damages under Illinois civil law. In most instances, the real legal issues occur when a trespasser is injured on a landowner’s property. If you were a trespasser and injured by a tree limb, hidden danger, watchdog or other dangerous objects, then you may have a claim against a landowner. Depending on the circumstances of your case, such as necessity, you may also have an affirmative defense to a civil suit for trespass. Our Illinois premises liability attorneys are ready to help you understand the complexities of your case if you were injured while trespassing and wish to recover compensation. The duty of care that a landowner owes to known, unknown and child trespassers varies under Illinois law. Illinois law currently imposes a very narrow duty on a landowner to refrain from “willful and wanton” conduct that harms a known or unknown trespasser. This law states that a landowner does not owe a duty of reasonable care to known trespassers. The duty to protect varies for child trespassers under the attractive nuisance doctrine. Under this doctrine, landowners must eliminate those conditions on a property that pose a foreseeable risk of harm to child trespassers. If a landowner has no reason to know of a dangerous situation that could harm a child trespasser, then he or she owes no duty to the child. Does an Illinois Landowner Have a Duty to Repair Natural Conditions or Artificial Conditions? Trespasser liability laws are more complicated than usual when natural conditions or artificial conditions cause a plaintiff’s injuries. If a plaintiff, such as a motorcyclist, neighbor or jogger, is injured by a fallen tree branch then a landowner will be liable. Landowners owe all individuals, including trespassers, a duty to exercise reasonable care in preventing an unreasonable risk of harm that arises from trees located near a roadway. Even if a landowner resides on a rural property, he or still may have a duty to repair natural conditions under Illinois law. If a criminal act by a third person injures a trespasser, then there may also be additional issues that arise in the premises liability case. Generally, a landowner does not owe a duty to protect individuals from criminal activities by third persons. If a landowner has a special relationship, such as business invitor and invitee, then the owner may have a duty to protect that individual from being injured by criminal activity. Premises liability cases are often very complex and require the focused attention of a lawyer experienced in handling these cases. 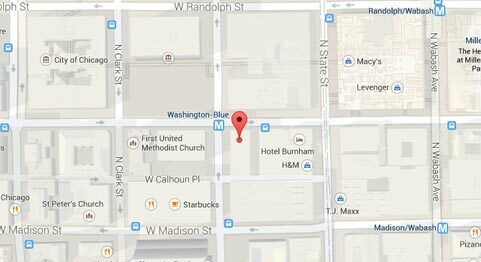 Call our Illinois premises liability attorneys at Rosenfeld Injury Lawyers LLC for immediate help with your suit. We are happy to see whether individuals injured while trespassing have a legal claim against an owner of the property.